Following a failed marriage proposal by her age-long boyfriend who she used her life savings to buy a motorcycle for because he was jobless when they met, a young Igbo lady, Obioma Abugu has allegedly committed suicide. 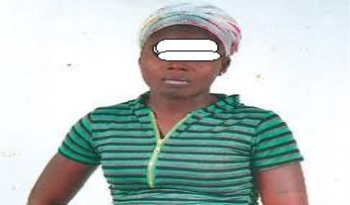 She was said to had gone into nine days fasting and prayer over the issue but the ‘pain’ was so strong that Obioma suddenly abandoned everything and decided to commit suicide. According to family source: “Thinking that she has got a husband, she threw herself to Ugo who was doing practically nothing to help himself. In order to empower Ugo economically, she bought a motorbike for him for commercial purpose. But Ugo was using the motorcycle for Okada without rendering any account to Obioma. “Unknown to Obioma, Ugo has found a woman with whom he would spend the rest of his life. Because of this, he started dropping the motorbike with an excuse that he was sick. “But, shortly after, Obioma got hint that he was having an affair with another richer lady. One day, she caught him driving the lady in her car. “Since then, she has not been herself… Ugo dropped the motorbike with an excuse that she was complaining too much. a taboo matter but generally people don't speak about these topics. To the next! Kind regards!! seems to be plenty of wealth. The race will proceed north to Lawrence Rd and then west into the Mallard Lake Forest Protect in Hanover Park. car insurance and make sure to pay off that debt. a certain amount from the borrowers wage.